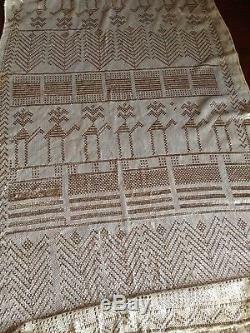 Superb Genuine Antique Vintage Assiut'Tulle Bi Telli' Egyptian Coptic Wedding Shawl from the 1910-20's era. Australian Imperial Forces stationed in Egypt during WWI bought these back to Australia for their sweethearts. Incredibly rare and highly collectable. Large size 2720mm x 500mm. 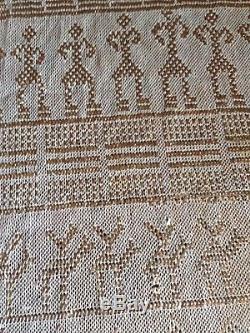 Made from a fine cream cotton netting with genuine Silver hand beaten pailettes in Coptic patterns of people riding camels, churches, palm trees etc. 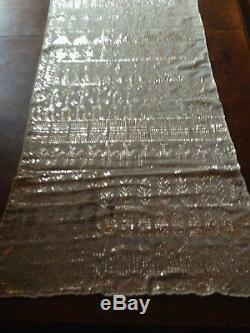 These were also very popular in the Egyptian Revival style of the Roaring 20's Flapper era. There are 6 small patches where the silver has oxidised and turned black (this also proves that it is real silver). Most of these are very small, the largest by far is photographed, see last photos of all flaws. 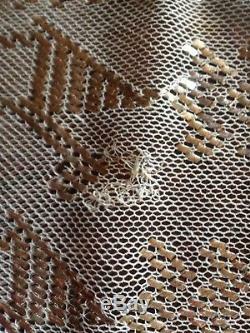 There is one repair 4mm diameter photographed (last photo), there are 4 tinier repairs of one or 2 stitches. There are 2 tiny holes on one edge. 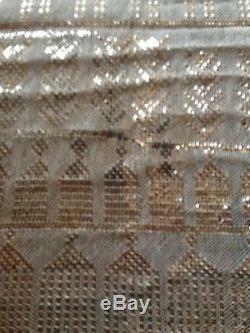 The netting base is cream in colour. 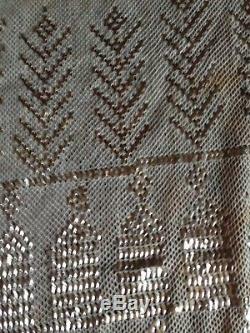 The pailettes are silver but often photograph as gold in colour but in real life they are bright silver. 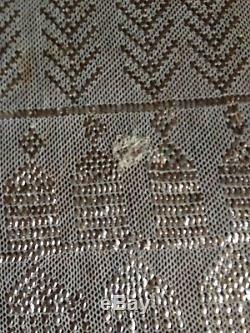 I can see 2 very small discoloured stains that are less than 3mm diameter at the edge (these look like tea stains). 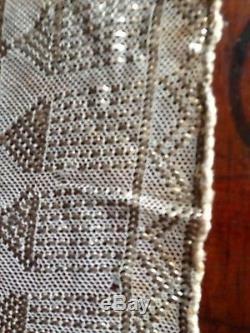 Shawl has been carefully washed in a pure soap and comes to you clean and without odour. 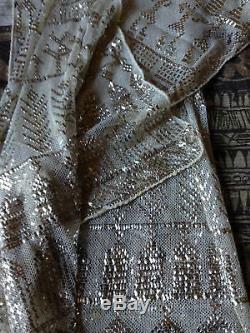 Because of the silver the shawl is heavy around 1.5 kgs. All photographs are taken in natural indoor light without filter. 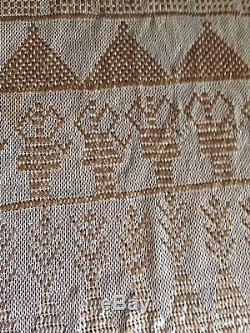 Please see my other vintage listings. Please see the photos as they form the greater part of the description. Contact within 2 days of auctions end please. If you have any questions please ask me. Thank you and best wishes. 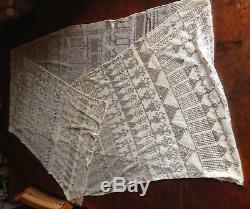 The item "Antique Genuine Silver Assiut Tulle Bi Telli Assuit Egyptian Shawl Art Deco Vint" is in sale since Saturday, March 24, 2018. 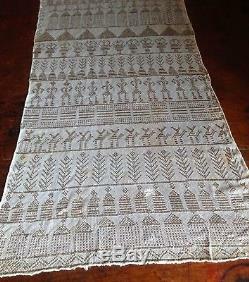 This item is in the category "Antiques\Textiles, Linens\Other Textiles, Linens". The seller is "international_vintage_kitchen" and is located in Carlton North, VIC.